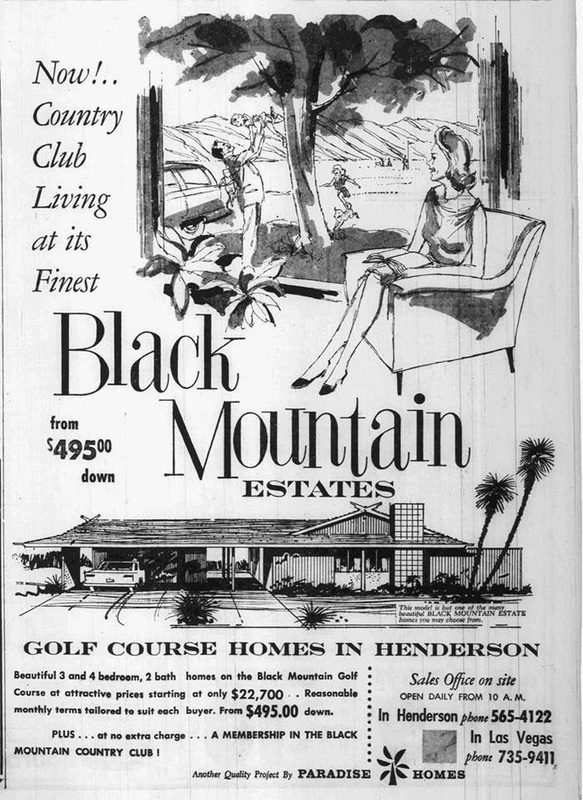 Fresh off their success of Paradise Palms, Paradise Homes began planning and building a second golf course community, Black Mountain Estates, in 1964. 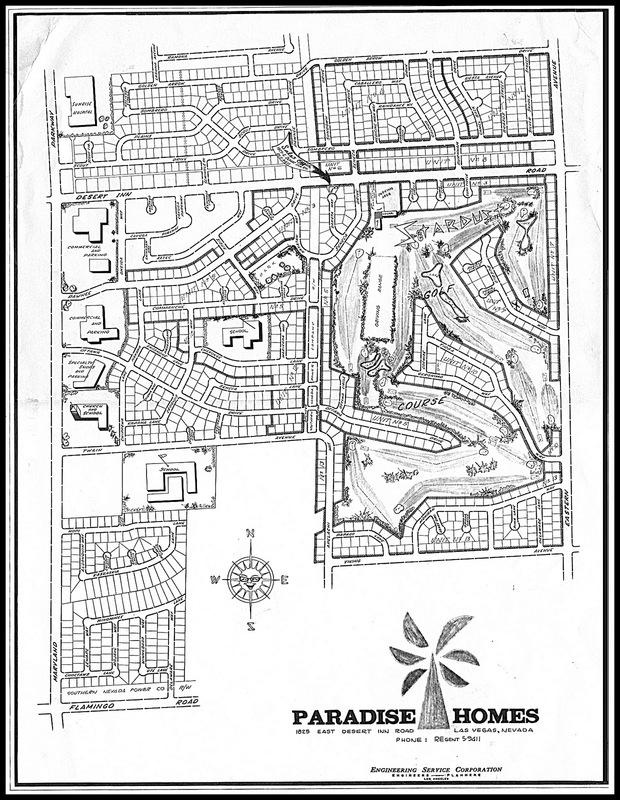 Featuring many of the same Palmer & Krisel-designed homes as Paradise Palms, Black Mountain Estates was a first for Henderson – being the first luxury home community in Henderson. Henderson, for many decades, was considered an industrial and manufacturing town, with an address that for many was considered less than desirable to live in. It wasn’t until the 1970s when Green Valley in far north east Henderson sprang up that old perceptions began to fade. 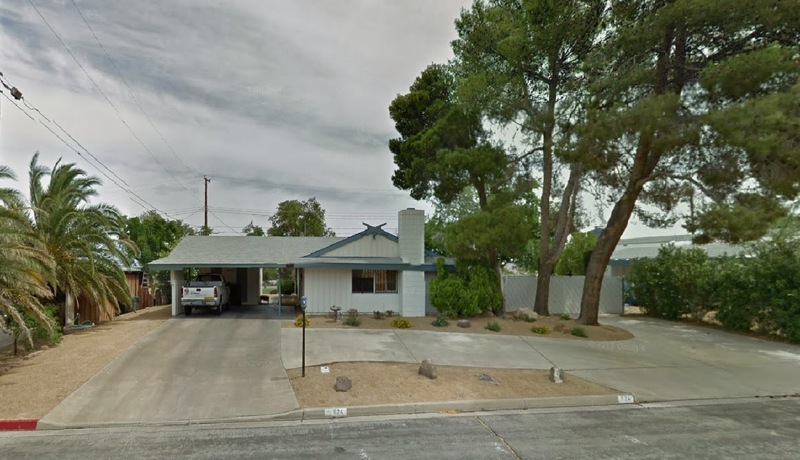 Only a few dozen Palmer & Krisel homes were built at Black Mountain Estates, as by 1965 a recession had all but halted new home construction in the Las Vegas Valley. One of the unique Palmer & Krisel-designed homes found in Black Mountain Estates that isn’t found in Paradise Palms is the Plan 2H. 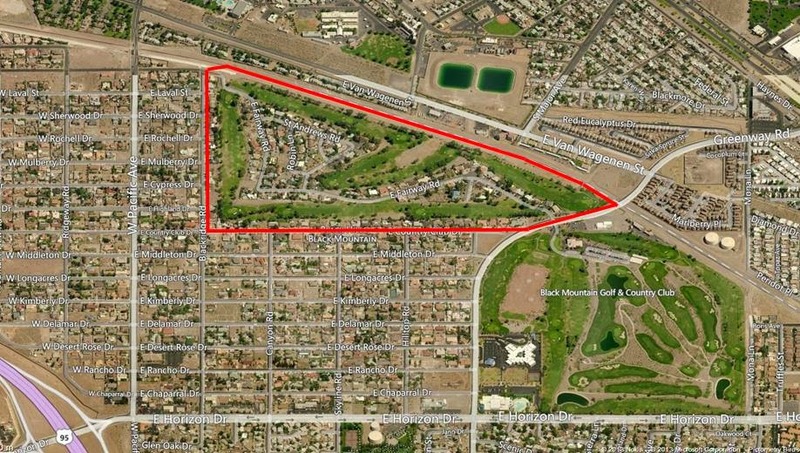 This was the ‘Hawaiian’ elevation of the popular Plan 2 found throughout the northern portions of Paradise Palms. Luckily there’s a well-preserved 2H on St. Andrews Road in Black Mountain Estates. As for the remainder of the community, a vast majority of the lots were sold individually, resulting in an eclectic mix of custom homes from the 70’s, 80’s and 90’s, with a few lots remaining perpetually vacant. As for the Palmer & Krisel homes, a majority of them have been renovated and updated beyond recognition. Had that recession never hit Las Vegas and Paradise Homes completed their subdivision, Paradise Palms may have had a great architectural rival. 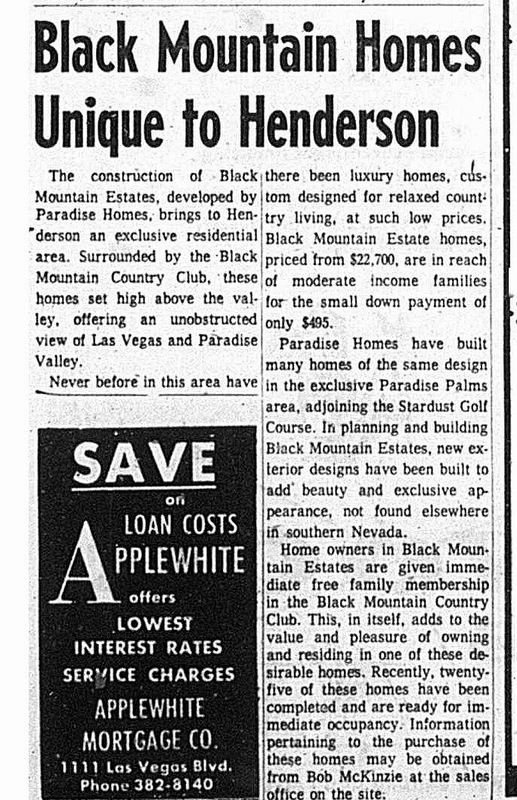 If you're interested in taking a look at Black Mountain Estates, from Downtown Henderson take Pacific Street south to Fairway Road. Head east on Fairway Road, and you'll find Black Mountain Estates. For those of you who are purists when it comes to mid-mod architecture and the works of Dan Palmer and Bill Krisel, the following photos may be a little tough to digest. Links to the original Paradise Palms sales brochures have been added as a point of reference.